Florian Hugonet and his entire team are happy to welcome you. We will do our best to ensure you discover the Lyons region and its bouchons, providing helpful tips about events happening in the city as well as the more unusual locations in Lyons. 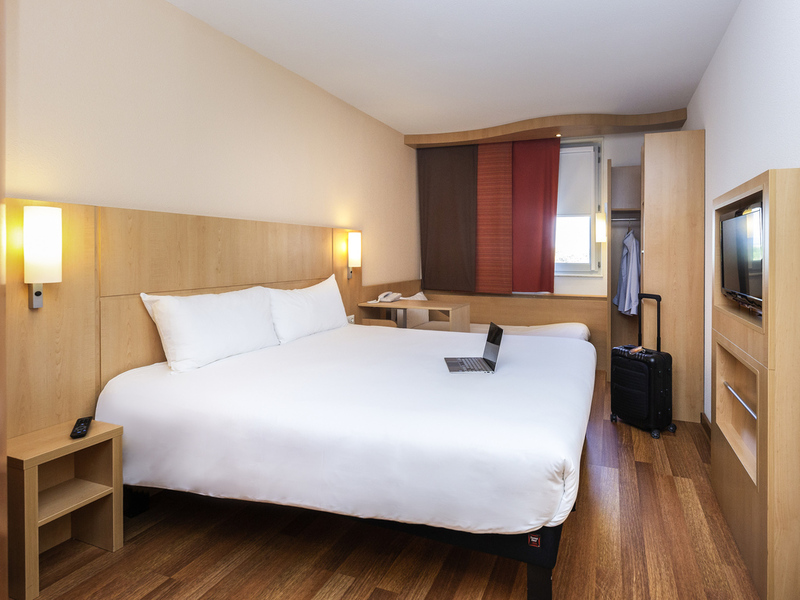 The ibis Lyon Est Chaponnay hotel is located close to the A46 highway (exit 15) and 15 minutes from Groupama Stadium (Parc Olympique Lyonnais), Eurexpo exhibition center, Saint Exupéry Airport and Lyons city center. It offers 69 air-conditioned rooms with free WIFI. You will have access to our Business Corner, 24-hour bar and restaurant with terrace. The hotel also offers a large, enclosed car park that is free of charge. Discover "Le 15" restaurant (opposite ibis hotel). The restaurant offers dining options with starter and dessert buffets for lunch and in the evenings, Mondays to Fridays. The restaurant has air-conditioning and features a terrace and garden. Enjoy a selection of cold drinks, fruit juices, wines and aperitifs and take the time to relax with your family or friends in the warm and cozy atmosphere of the ibis bar.